The art piece emerged as a result of 30 years of experience of Taner Alakuş is one of the most important examples of modern miniature. Historic locations of Istanbul and Ottoman Sultans' costume is presented with figures of Ottoman tulip on caftan in plexy. Manufactured on sized paper using acrylic paint. Artist was born in 1966 in Ankara . 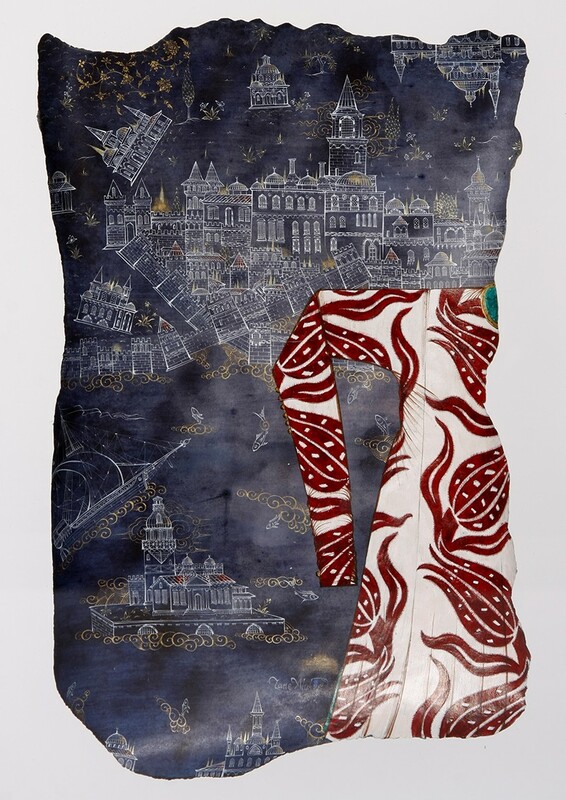 He studied and gained his BA degree at the University of Mimar Sinan, Faculty of Fine Arts(MSU), Department of Traditional Turkish Arts, Illumination Section between 1982-1986. After the graduation he followed his postgraduate studies at the same department and awarded with master of art degree. He currently works as a miniature arts tutor at the same university. He had his illumination studies from Assistant Professor Dr. Tahsin Aykutalp. His miniature skills are tought by Yakut Cem who also was a tutor at The Mimar Sinan University . His works are in collections in and out of Turkey. 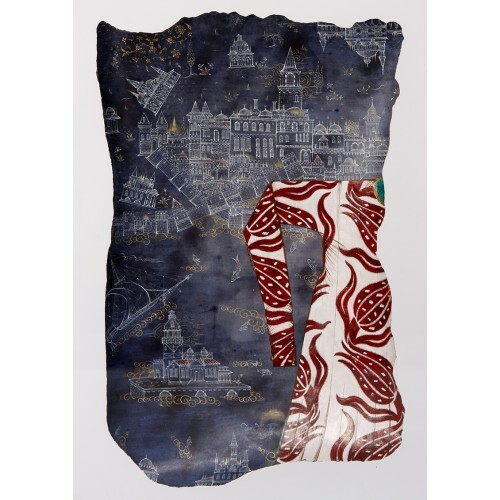 He exhibitied his works at joint and solo exhibitions.
. The Artist’s main study area was Illumination arts while he was doing his lisans programme at the university. Meanwhile he also established an interest in the miniature art through lectures and museum visits. There are no strict rules to be followed as in the illumination arts in the miniature art and it is also the most easiest traditional art form to be adjust and apply to today’s world. 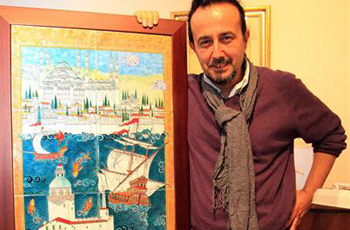 The artist has the mission to increase awareness to Tukish miniature art both in Turkey and abroad. He continues his art at his atelier and gives workshops at ‘Taner Alakus Miniature Atelier’ near Kariye Museum.